Shinto, The native religion of Japan is steeped in mysteries and traditions that go back to a time before recorded history. Shinto is a thriving spirituality whose many Shrines can be found throughout Japan and easily distinguishable by non-Japanese by its iconic Torii Gates. It lies past those gates is often not so easily understood or explained to those of us in the west. Rather than veneration for the Western monotheistic concept of a single all powerful God, Shinto venerates the numerous Kami or what best can be described what inspires awe in nature. Shinto has peacefully coexisted alongside Buddhism and often in tandem for many households as the two dominant religions of Japan. Shinto has influenced Japan’s history and culture which now extended beyond the Islands of Japan for as it is said: The Kami are everywhere and for this writer they certainly are! The draw of the Kami had become too impossible to ignore once aware of their presence. 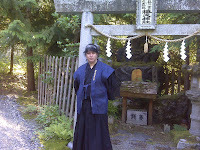 We had long sought to remedy this since we had first made contact with the Grand Tsubaki Shrine of America in the late fall of 2009. So this last July of 2010, we had set about aboard Virgin America flying the two hours northward from Los Angeles passing over the range of snow peaked Volcanoes that dotted the Pacific Northwest. Seattle is not Japan but it was one step closer to our destination which we would take by car the following morning but not before we would visit the Seattle Koyasan Church along our journey. It is a common practice to visit temples long a journey in Japan and this was no exception. We had been warmly received by Imanaka Sensei who opened the Koyasan Temple for us and shared the Hannya-Shin-Gyo better known here as the Heart Sutra to pray for our safety as we continued on our mission to better understand our budding dual Japanese spirituality. Like many in Japan, we too have learned walk this careful spiritual balance between Buddhism and Shinto which may seem unconscionable by Western Standards to practice two religions at once, but then again it would be impractical to make such judgments from Western eyes. Like the cultural orphans we appeared, the spiritual duality of Japan had answered our call and drew us ever nearer thus committing us to our first Shrine visit to the only known Shinto Shrine existing in the North American mainland. I honestly had no idea what to expect from this leg of my spiritual journey which would bring me face to face with real Shinto practice outside of the Islands of Japan. Nor when it was all over how I would conceive how to begin to even write about my experience. I had struggled for the last four months over how to respectfully chronicle this journey in a fashion that would be understood by those who have not had this experience. I had undertaken this journey with my combination traveling companion & girlfriend Tinahime in an attempt to understand the impact on our lives from our first visit to a Shinto Shrine on American soil. Now there have been actual Jinja (Shrines) here in our not to recent past, (twice if you don’t count the existing Shrines in Hawaii). There had once been an actual Pagoda Shrine on Terminal Island California prior to WWII. Sadly, it was bulldozed by a vengeful U.S. Navy during the illegal Internment of Americans of Japanese Ancestry during that war. There had been a more recent Shrine that was founded in Stockton during the 1980’s which ultimately merged with the newly built Kannagara Shrine (Built in 1990 by the current Guji Rev. 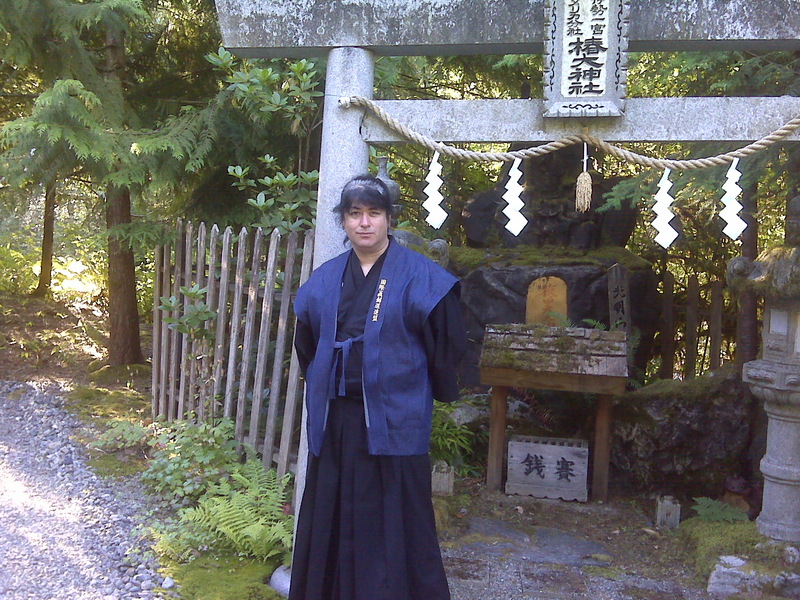 Koichi Barrish) in Granite Falls, Washington in the early 2001. 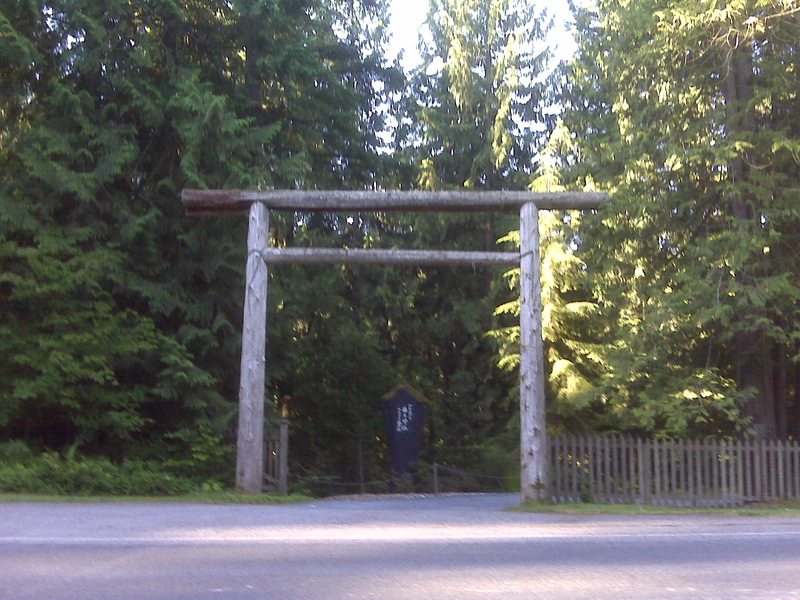 Bearing Shinto’s history in North America, we set out on Interstate 5 North towards the Canadian border. 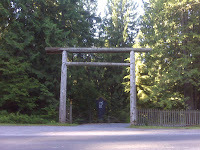 The early morning mists had made their way across the lands as we traveled north from Seattle to Granite Falls Washington to attend the Summer Shinto seminar at the Grand Tsubaki Shrine of North America. A glimmer of sunlight had paved the path leading us with a sense of the unknown. 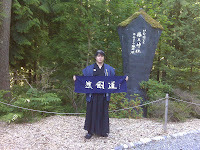 An hour’s drive from Seattle took us to our destination along a wood lined path leading down to the Tsubaki Grand Shrine. It seemed from the moment of our arrival we had stepped into another world as we passed under the old Torii gate that has since been replaced by a newer one that was made possible by the generous donations of the Shrine’s members and supporters. 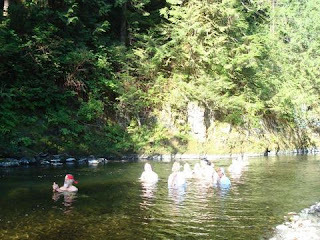 We had arrived early ahead of the seminar scheduled for 3:00 PM so we could partake in the unique and most important morning Misogi purification rite that is performed daily in the Pilchuck River that runs through the shrine grounds. As part of the fee for attending the seminar, Sunday morning Misogi is included but given I had undergone a tumultuous critical 2 year cycle noted in both Buddhist and Shinto calendars, we found it necessary to purify ourselves twice, one for each year in order to put the trials and troubles of the last two difficult years that has seen anger, despair, disillusionment, strife, unemployment, and even imprisonment behind us. 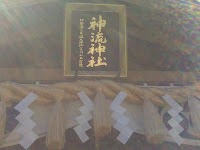 So prior to heading down to the River, a small set of Norito are performed inside the main Shrine. In Japan, Misogi is normally performed under a waterfall where men are clad in only a wrap and a hachimaki and women in hachimaki and white robe. Not having a waterfall is no obstacle for the Tsubaki Grand Shrine. There is a natural whirlpool containing its own unique natural wonder and power that exists on the Shrine grounds hence according to the shrine builder and Guji Rev. 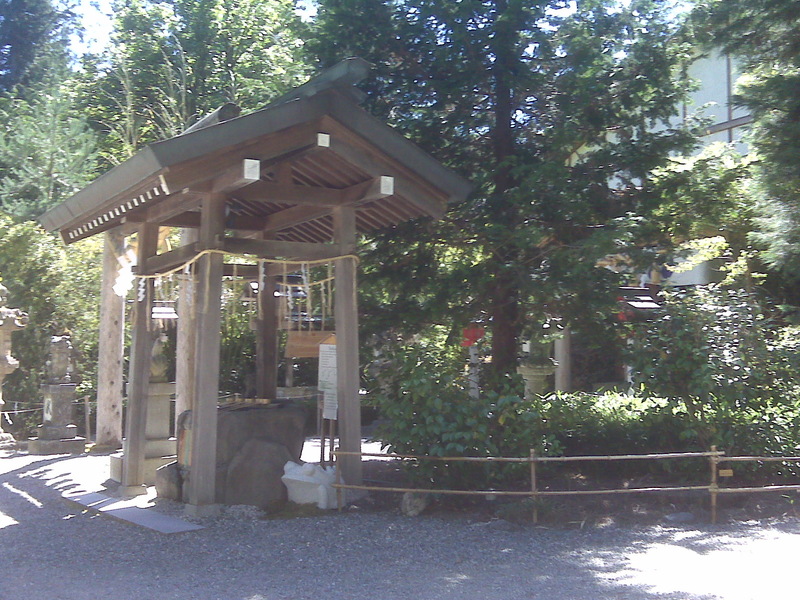 Koichi Barrish led to the Kami’s choice in the location of the Jinja dedicated to Sarutahiko O’Kami. 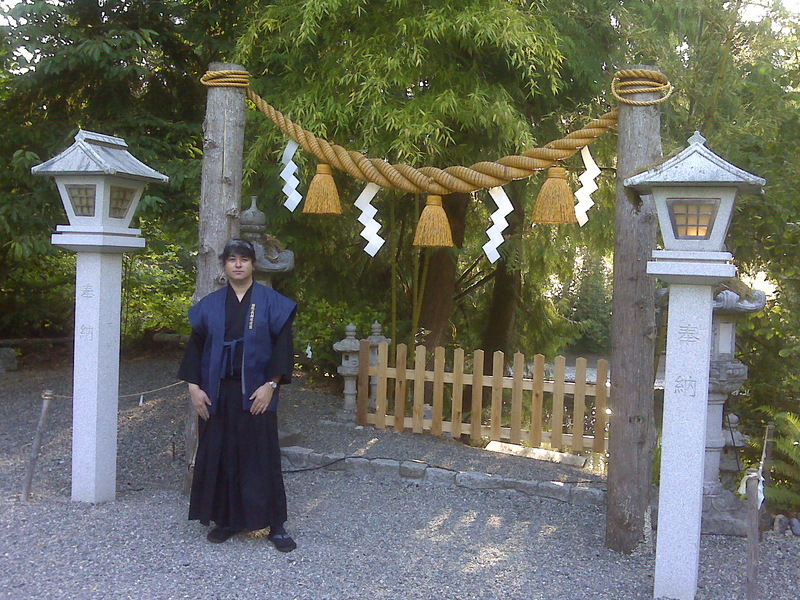 But before Misogi can take place one arrives to purify with water before entering under the main Torii. 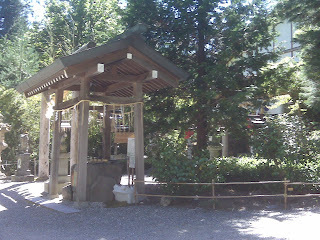 Following this tradition one gives the customary ring of the Shrine Bell and offering. 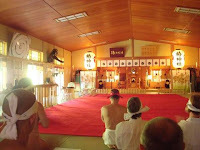 Once prepared and led into the Shrine hall comes the pre-ritual prayers of “Norito” before descending down past a smaller shrine of the patron Kami who sits holding his spear in a stance of ever presence and authority. Having once been a disciple of the Norse God Odin, this presence seemed familiar yet different and so undeniable. We bow before the Kami and make our way down to the rocky riverbank where Barrish Sensei had lit the flames invoking the call to the Kami our intentions and prayers. 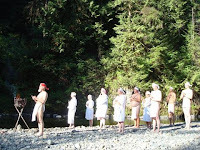 Now when recalling photographs of previous Misogi rites one often asks just how cold can it get? Considering the river does flow down from a mountain glacier the question was soon put out of my mind by a practice known as “Soul Shaking.” We literally work ourselves into frenzy as Barrish Sensei led us into a state of higher consciousness before entering the Pilchuck River. The process happens so fast, the waters temperature no longer concerns you. And in a moment senses of liberation of the weights of past troubles feel lifted. This practice is done all year round and even in the dead of winter. The practice of Misogi is one of the most important rites in Shinto and thus having experienced it we can honestly agree. Concluding Misogi, we dry off and join the Guji upstairs in the beautifully constructed Shrine for some Ocha tea especially brewed for the Tsubaki Grand Shrine of America. The construction of the upper chambers and rooms are reminiscent of shrines and inner castle sanctums of Japan. It is peaceful here. 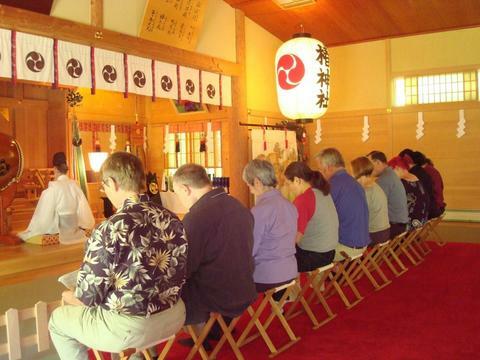 The Shrine performs all traditional ceremonies that you can find in Japan here in the United States. The Tsubaki Grand Shrine of America even host their own Aikido groups which I had the privilege of partaking in one of their keiko sessions in both sword and hand to hand technique. As a student of Shinkendo, this was a unique martial arts experience to compliment this initial spiritual experience. All this became quite exhausting particularly as the July heat had kicked in. Luckily, we had been given traditional Japanese accommodations at the Tsubaki House across from the main Torri Gate. 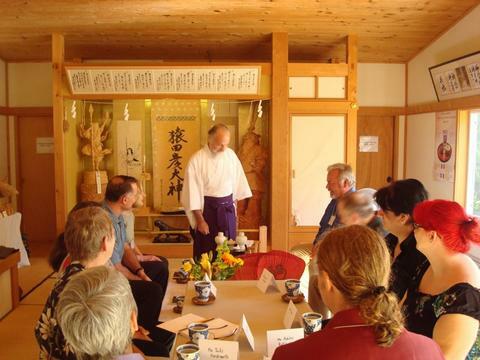 The Tsubaki House serves as both a residence and guest house for members of the Tsubaki Grand Shrine. Complete with tatami mat and no shoes past the entrance, the design was both modern and yet very Japanese complete with priceless Kimono’s hanging in every room. One who loves Watshitsu style homes would feel right at home and we certainly did for a much needed rest before the official start of the seminar. When visiting a Shinto Shrine there are traditions and etiquette that must be strictly adhered to. 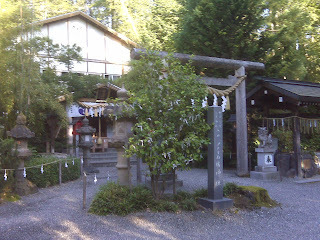 Buddhist temples in America may give you some latitude but this is Shinto. Everything has a purpose and a method of doing that must be followed or risk a scolding in one form or another which may seem unfair from a Western standpoint but remember this is Japanese and better you learn here than the hard way back in Mei. Shrine etiquette is important and not to be taken lightly. Ignorance will not earn you an easy pass. But the only way you will know is to experience this for yourself and learn as you go. During this time we had met other Shrine members mostly not of Japanese descent who like us had been drawn to the power of the Kami and the culture it inspired. 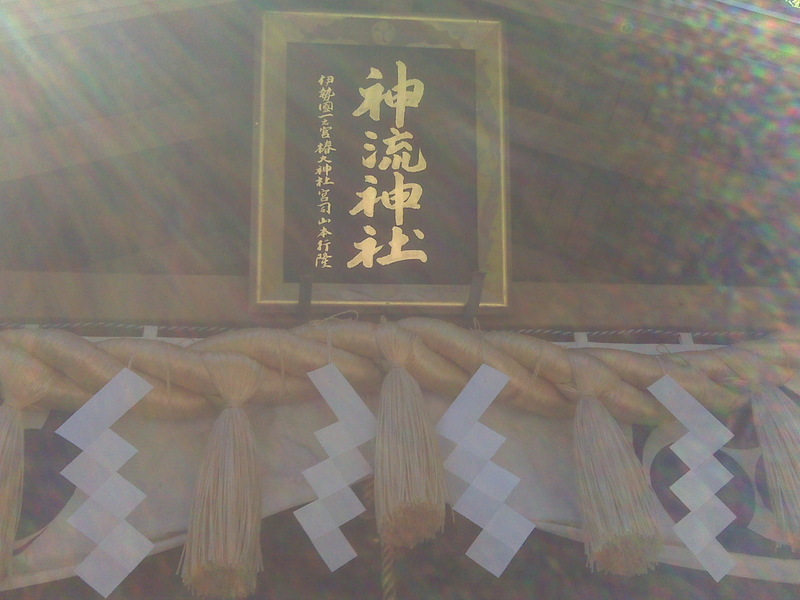 Japanese people do visit the Shrine but many of its members are not Japanese. This is so because Shinto is not exclusively as once thought to be for Japanese only. If there can be Korean Evangelical Christians there certainly can be American-Jin Shinto. But before you jump to conclusions, there is nothing American about the Shinto practiced here. All Shinto Norito (prayer) is done in Japanese. If you do not speak Nihongo a prayer sheet is provided for you. The ceremonies are beautiful as they are elaborate and all of them performed by both the Shrine’s builder and the only American licensed Guji in the world Rev. Koichi Barrish. 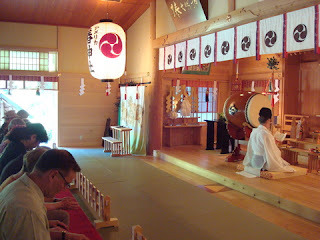 The Tsubaki Grand Shrine of North America is licensed and part of the Grand Tsubaki Shrine in Mei Prefecture in Japan. During our visit, there were many opportunities to ask questions and I likely proved to be a handful to other guests but no one weekend can answer it all. But then again, I came to learn and I make no apologies to those who glared at me in silence. I had a real Shinto Guji before me to field questions to ranging from understanding the Divine and Heavenly Kami to the role of the Heisei Emperor in modern Shinto as opposed to the now discredited “State Shinto” which was enforced during the war. I didn’t get all the answers I sought but as time would tell, they would come to me in their own time as does all things in nature. Perhaps I wasn’t supposed to ask so many questions while everyone sipped their tea. 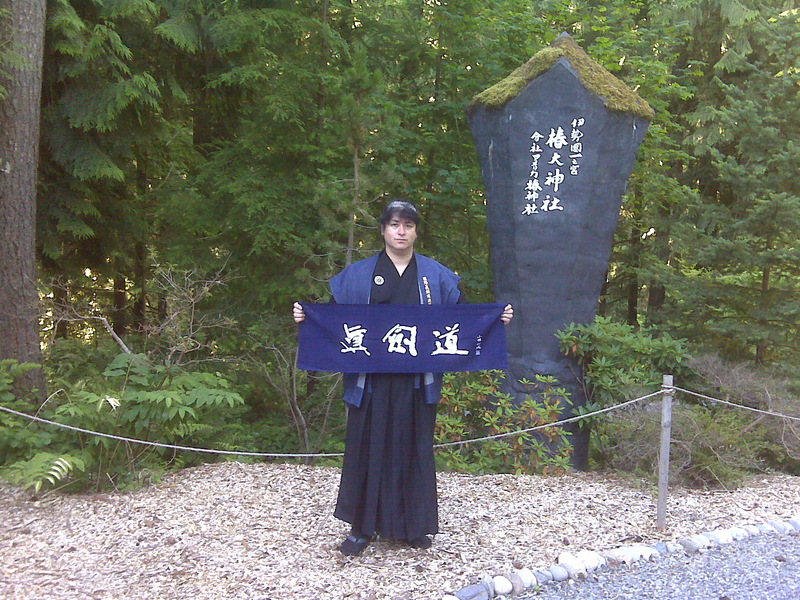 It wasn’t that I was trying to show off my knowledge or spiritual development, it was more like I flew some 1300 miles to understand the meanings and significance of what I have come to know as Shinto. I had spent years asking people in the Japanese community for a reasonable discussion on the matter without being treated like a total outsider who would never understand but could only until rather recently could only find. People either love me or hate me for reasons I can neither explain nor understand. I do not possess an abrasive personality but I have always had this effect on people my whole life. I will never understand what that is about but that is how fickle nature can be. Much like dealing with the old Pagan Gods, the Kami can also show their fickleness like a stern warning of an authoritarian parent or the nurturing grace of the Divine much like the wind bending the branches of the trees. Shinto is a living experience just like the Kami it venerates. It is to be experienced that explanation can not in many cases suffice. I can’t go into too much of those details here but know that if the Kami hear your call, you will not be disappointed. I have had one life altering experience that made me a believer. They are everywhere like all things that inspire awe in nature. With this we concluded the summer seminar with a closing ceremony came followed by a wonderful Falwell Meal provided by Mrs. Barrish at the Tsubaki House. Guji Yukitaka Yamamoto had recognized after the war that Shinto is open to anyone who sees the awe in nature hence Shinto’s non-exclusiveness to those not of Japanese ancestry. In conclusion, we made some friendly acquaintances and likely irritated others with our enthusiasm and inquisitiveness but all in all, we shared an experience that will live with us and continue on as we visit more Shrines and partake in more ceremonies. The local Kami became aware of us and saw us off as we lifted into the air and into our hearts. And though Shinto may be difficult to understand it is not impossible to find. Our journey of spiritual growth and learning will continue on.